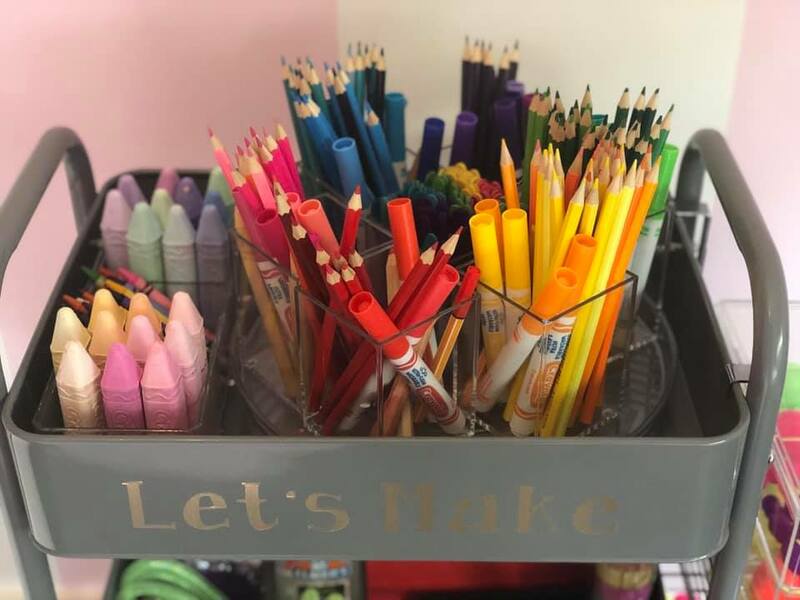 I can’t think of a down side to Children having access to craft materials – but I can think of a zillion great reasons to give your Kids a chance to be creative! 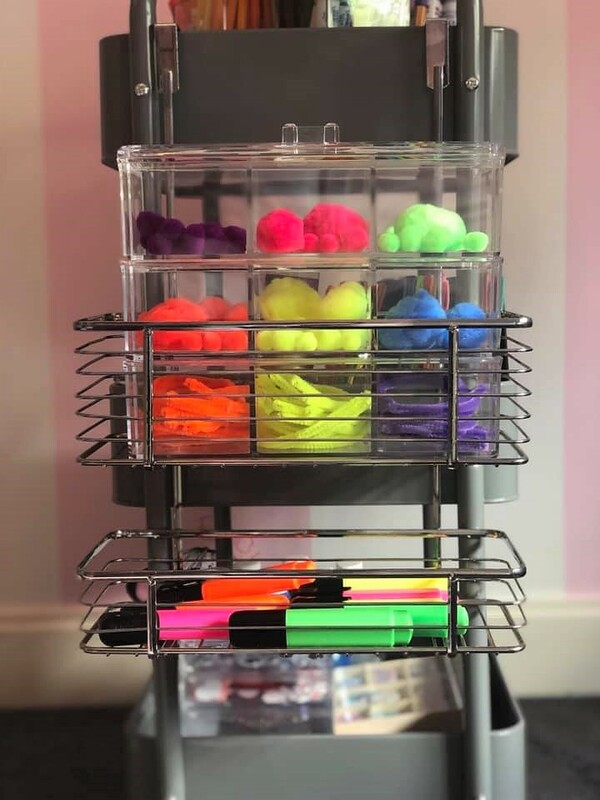 I’ve grabbed the 3 Tier Kitchen Trolley – $29 – and filled it with colour, textures and crafty items that will grab any child’s attention. And that’s what we’re after … for the Kids to be interested and use their imaginations. 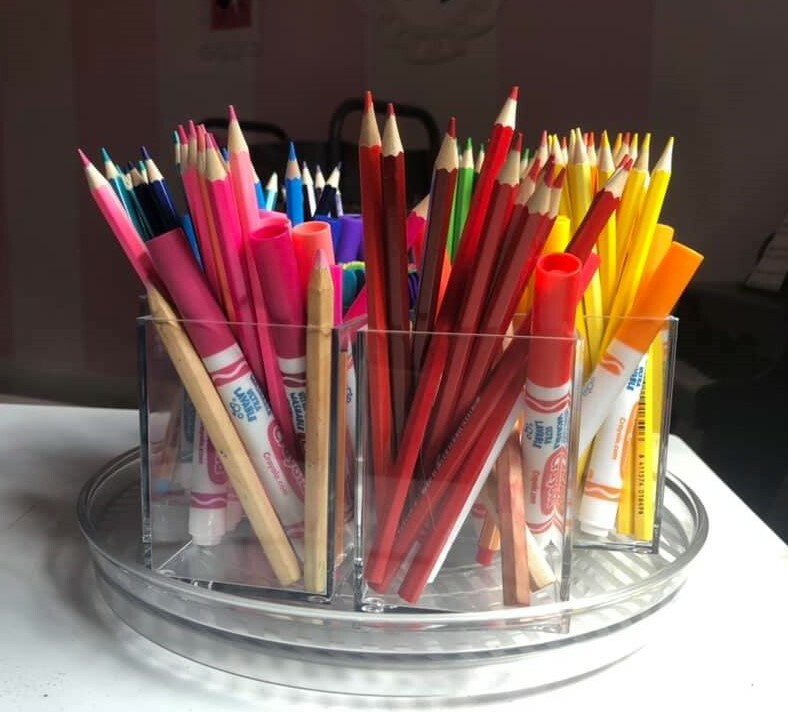 On the top shelf, so it’s easy to lift off, I’ve got all the pencils, textas and pens in pen cups – they’re loosely grouped together in colour which makes packing up a bit of fun, and of course helps in the learning of colours. 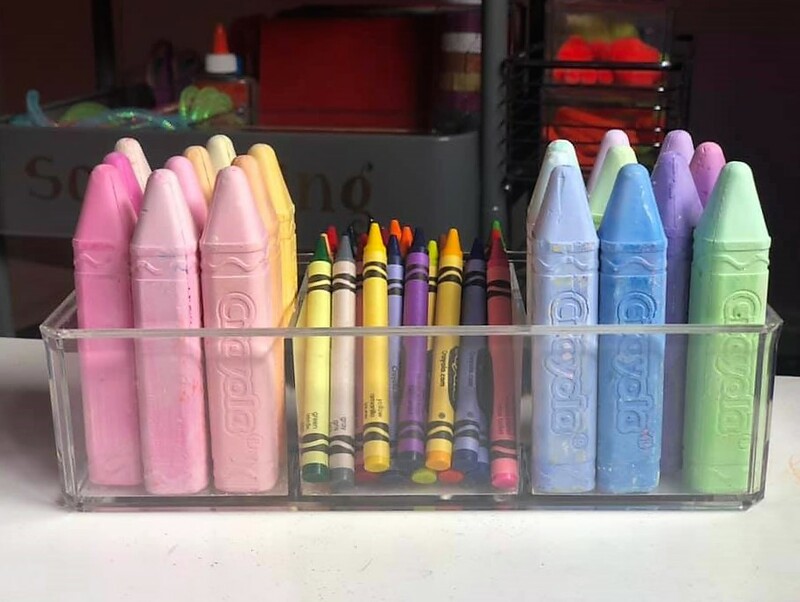 The pen cups are sitting on the Clear Storage Turntable – $7. Next shelf down has lots of fun stuff!! 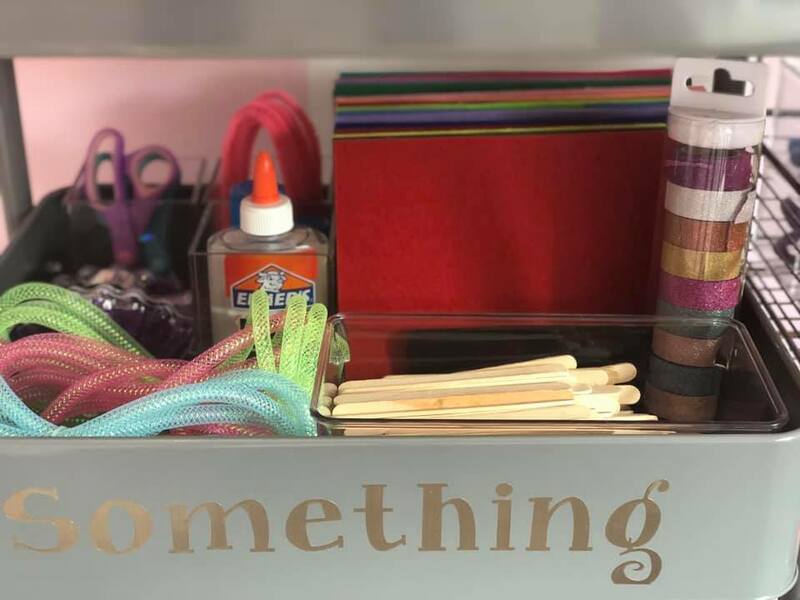 Felt, scissors, glues, pipe cleaners, pop sticks, washi tapes and sticky tape most of which I found in Kmart for very reasonable prices. 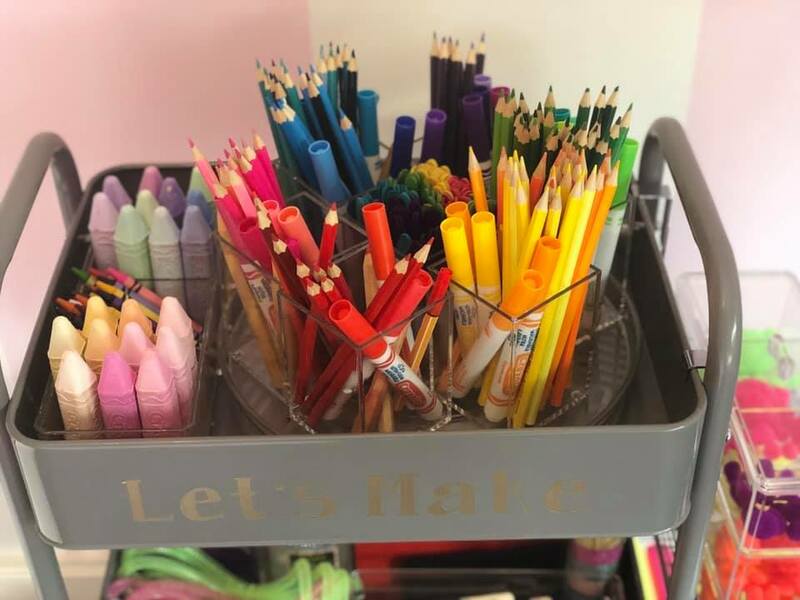 I’m not sure if you’re like me, but I love to spend time in the craft section! 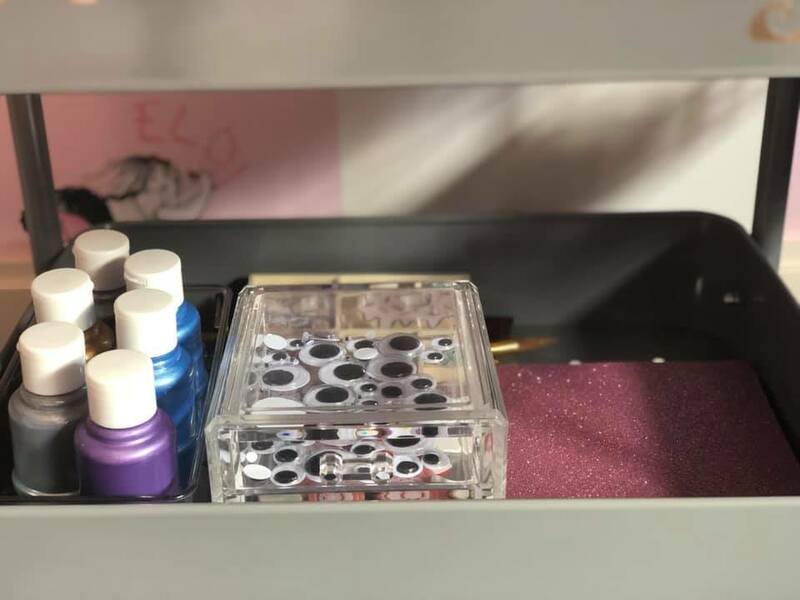 And I’ve loaded the bottom shelf with sheets of plain paper, glittery paper, paints and other interesting bits like the googly eyes! Then on the side, I’ve used an over the door shower caddy (sadly this one is no longer available, but I’m sure there’s something similar) on the side of the trolley. 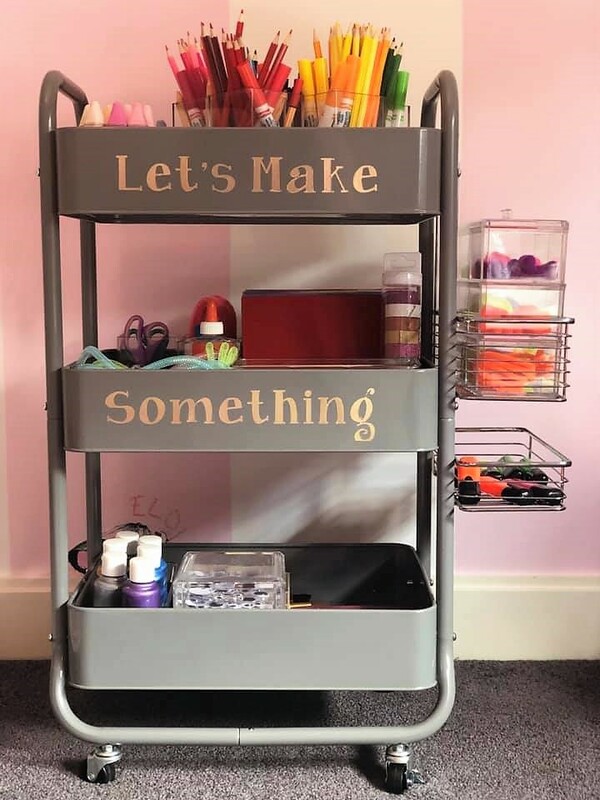 I’ve done this not only for more storage space, but also so it generates more interest for the child when they’re looking at the trolley and wanting to make things! 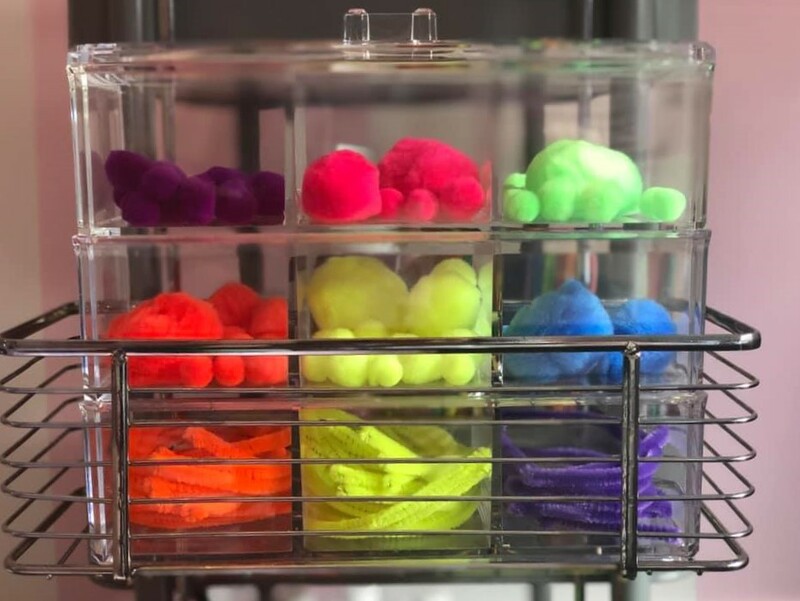 These pom poms and pipe cleaners are stored in the 6 Cube Storage Organiser – $9. 1. It helps small children develop their fine motor skills. 2. It helps develop patience and focus. 3. It’s a great way to spend time together with your child. 4. It’s away from screen time. 5. It helps your child use their imagination. 6. 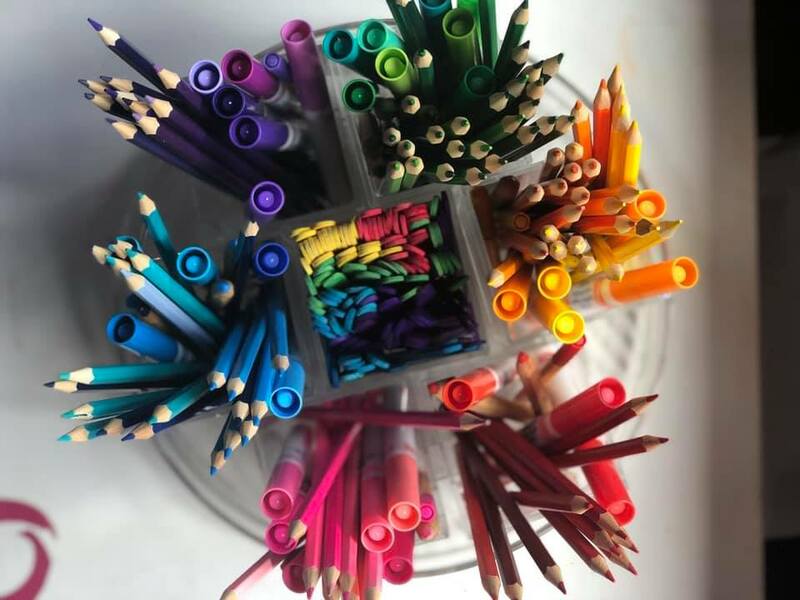 Its great for teaching colour, and how to use tools like scissors. 7. And most importantly, it’s fun! 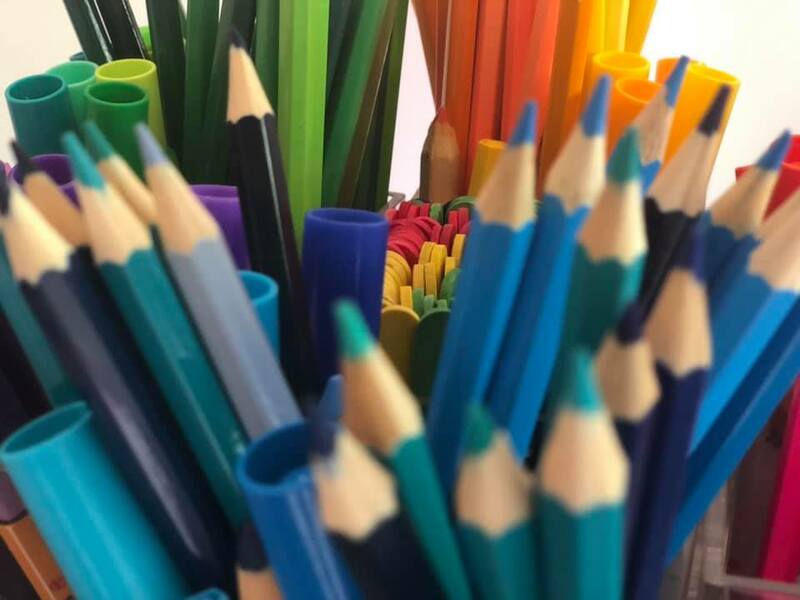 I hope you have found some inspo from this post, and if you don’t already, I hope you get to spend some time with your Kids being creative!